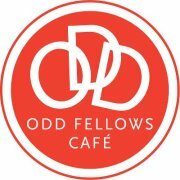 If Chipotle merged with Starbucks, the result might be something like Center City's Odd Fellows Cafe (1201 Spruce St., 484-897-0633). The Latin American BYOB restaurant and coffee bar has a gluten-free menu and the kitchen and service staffs are knowledgeable about safe prep and handling. Reader Melanie H. recommends another Philly BYOB, this one in University City. At Marigold Kitchen (501 S. 45th St., 215-222-3699), the chef at this contemporary American can make appropriate menu adjustments. A parade of amuse-bouche is a highlight of the meal, reports Melanie. In Wilmington, Ulysses Gastropub (1716 Marsh Rd., 302-691-3456) offers a gluten-free menu and beer. You can find gluten-free pasta, bread and desserts at Buonissimo in Blue Bell (700 Dekalb Pike, 610-270-9100). On the heels of opening a location in Mt. Laurel, Miller's Ale House has received approval to proceed with another area spot in Springfield at 1618 Baltimore Pike. No word on a projected opening date. Healthy Bites Cafe and Market, near Graduate Hospital in Philadelphia, is closing on March 18, but owner Katie Cavuto-Boyle will continue offering nutrition services, meal delivery, catering and cooking classes. Joe Palombo's Mirabella Cafe in Cherry Hill, which underwent GREAT Kitchen training from the NFCA and served gluten-free pasta, has closed, according to the Philadelphia Inquirer. The new Sweet T's Bakeshop in Haddonfield (7 Kings Court, 856-428-0222) offers a variety of gluten-free cupcakes. Owner Toni Walton, who appeared on Seasons 1 and 2 of TLC's Cake Boss, takes precautions to avoid cross-contamination when making gluten-free items. Chester County cupcakery Dia Doce will appear on Food Network's Cupcake Wars this Sunday at 8 p.m. Eastern. My son tried one of owner Thais da Silva's gluten-free cake pops this week (thanks Daria!) and couldn't stop raving about it. The latest additions to the JELL-O product line are S'more and Strawberry Sundae pudding snacks. There's no gluten in either product. 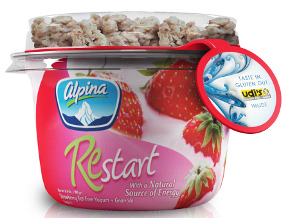 New to the refrigerated section at Whole Foods is Alpina Foods' Restart yogurt packaged with Udi's gluten-free granola. It's available in strawberry, blueberry, vanilla and peach flavors. Pamela's Products is debuting new gluten-free baking products this month: Pizza Crust Mix, Artisan Flour Blend, Biscuit & Scone Mix, Oatmeal Cookie Mix and roll-and-cut Sugar Cookie Mix. The new microwaveable Smart Ones three cheese omelet, which comes with a side of Ore-Ida potatoes, is gluten free. Hey - it's convenient! 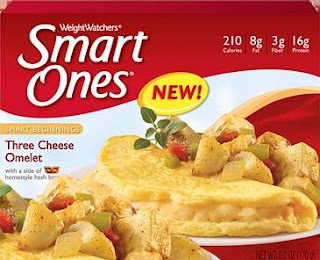 My annual Passover gluten-free product roundup went up at the blog on Tuesday. New items are making their way into stores now. Upcoming events in the next week include a gluten-free/dairy-free tasting event tomorrow at Deliteful Foods in Lawrenceville (4110 Quakerbridge Rd., 609-799-7756) from noon to 3 p.m. The event will feature products from Udi's, Katz, Namaste and others. While there, look for the fabulous Tonya's gluten-free soft pretzels. On Sunday, the Berks County Gluten-Free Meetup Group will have a potluck lunch at 1 p.m. at the New Apostolic Church in Reading. Trader Joe's in Ardmore (112 Coulter Ave., 610-658-0645) will host a gluten-free store tour on Tuesday, March 12 at 9 a.m. Thanks to Sherrie S. for the tip. Don't forget to visit the blog next Tuesday, when I'll be celebrating the third anniversary of Gluten Free Philly with a multi-prize giveaway for my readers and followers.